Blowout Sale! 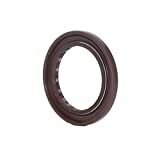 Up to 54% off on Radial Shaft Seals at Scranton Sewer, Page 5. Top brands include EAI Parts, DMHUI, National, EAI, & Small Parts. Hurry! Limited time offers. Offers valid only while supplies last. 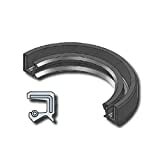 Oil and Grease Seal TC 120X140X13 Rubber Double Lip with Spring 120mmX140mmX13mm. 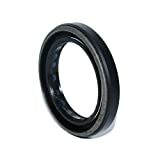 Oil and Grease Seal TC 55X68X8 Rubber Double Lip with Spring 55mmX68mmX8mm. 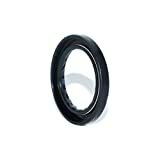 Oil and Grease Seal TC 38X50X8 Rubber Double Lip with Spring 38mmX50mmX8mm. Oil Seal 35X47X7 (6 PCS) Viton Oil Seal Grease Seal TC |EAI Rubber Double Lip w/Garter Spring 35mmX47mmX7mm | 1.378"x1.850"x0.276"
Oil Seal 18X32X7 (2 PCS) Oil Seal Grease Seal TC |EAI Rubber Double Lip w/Garter Spring 18mmX32mmX7mm | 0.709"x1.260"x0.276"
Oil Seal 35x42x8 Oil Seal Grease Seal TC |EAI Rubber Double Lip w/Garter Spring. 35mmX42mmX8mm | 1.378"x1.654"x0.315"
Oil Seal 45X62X9 Grease Seal TC | 90043-11112 | 90043-11075-000 | 90043-10030-000 | 9004D-11112 | 9004D-11100 | 9004D-11112 | 9004D-11100|EAI Double Lip w/Spring 45mmX62mmX9mm | 1.772"x2.441"x0.354"
Oil Seal 1 1/4"x2"x1/4" Oil Seal Grease Seal TC |EAI Rubber Double Lip w/Garter Spring. 1.250"x2.000"x0.250"